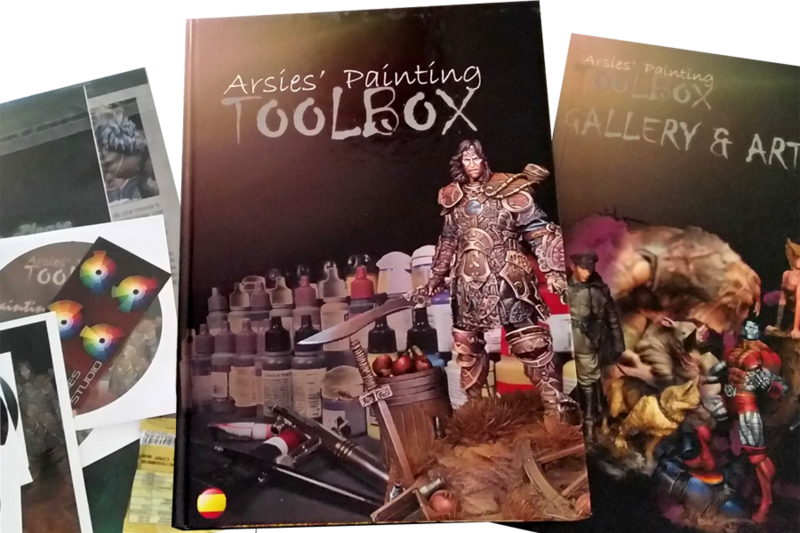 Javier González "Arsies", Miniature Painter: Arsies' Painting ToolBox Stock released. 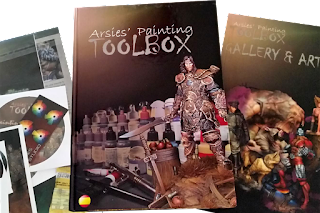 Some people missed the Kickstarter campaign of my monograph Arsies' Painting Toolbox past winter and wrote me to ask if they can still purchase a book. Well, you're lucky, or at least, those of you who are faster than others. I have a very small excedent from Kickstarter destined to cover shipping incidences. Now shippings are almost done I can start to release some of those books. Are you interested? - EDITED: OUT STOCK. As this was a limited edition, there are only 935 books printed. Around 900 are shipped to their owners that risked their money during Kickstarter so there are not so many opportunities to purchase one of those books. Once the stock run out there will be no more books until a hypothetical second edition, that will always be soft cover instead hardcover and it won't include the Kickstarter extras. And we are not sure we can do a second edition! So, if you want to buy one of those last units, just click HERE or in the Arsies' Painting ToolBox tag in the upper bar of this blog and fill the form and process to payment using PayPal. make sure you choose the option you prefer, either Bronze (just the book) or Gold (including the KS extras). Price is a bit higher than in campaign, but hey, you are not risking your money!. EDITED: We ran out stock in a bit more than an hour. Thank you so much. I still have locked some stock that I hope to release soon, but it's even less than today.